One suspects this will be the case even if their buddies desperately re-brand themselves in an attempt (vain?) to clean up what is a very tainted image. Affiliates of the once mighty liberal activist group ACORN are remaking themselves in a desperate bid to ditch the tarnished name of their parent organization and restore federal grants and other revenue streams that ran dry in the wake of a video scandal. The letters A, C, O, R and N are coming off office doors from New York to California. Business cards are being reprinted. New signs with new names are popping up in front of offices. The breakaways are trying to shed the scandal that emerged six months ago when videos showed some ACORN workers giving tax tips to conservative activists posing as a pimp and prostitute. But while their names are different, most groups have kept the same offices and staff. Athiest stupidity, addition to Mr Bolts thread. Andrew Bolt has a post up looking at an unusually crass attack on Christianity by a bunch of the usual suspects. Wow, how cutting edge, Phillip “Mao hat” Adams, Peter “root your dog” Singer, Richard “I dont belive anything, except Christians are evil” Dawkins, Robyn “I believe 100 metres” Williams and a bunch of others. 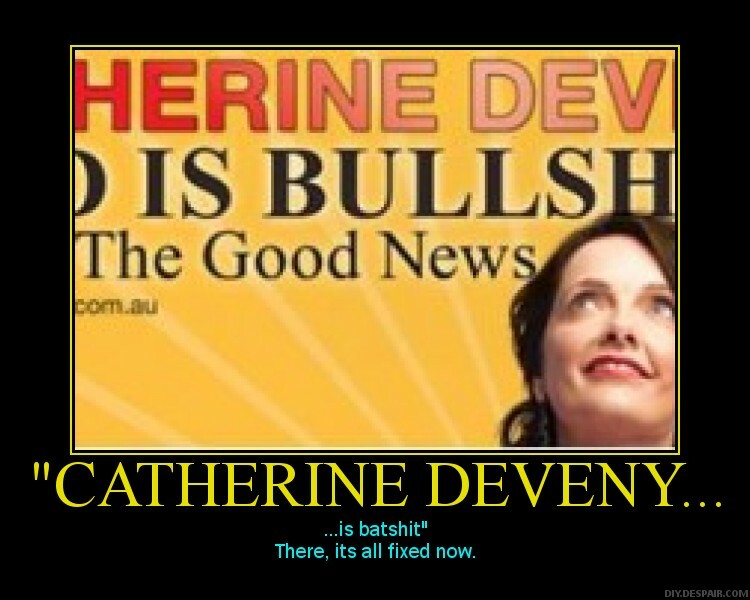 Not to mention Bolts favourite Catherine Devney. I had a little look for another example of the secularists hostility towards Christianity and came across this little gem. One small kudo to them though, they do show the Koran as a religious text as one of the religious books they will trade. Now Im not a God botherer, devil dodger or anything of the sort, but I cant work out the implacable hostility many non believers have against established religion. Yup lots of bad things have been done in its name, but a shitload more has happened with nothing to do with it. The only explanation I can see is a wish to be free from “norms”, may of which were established in god fearing times. Rather silly I think.